Do I really need the Majora's Mask New 3DS?!? 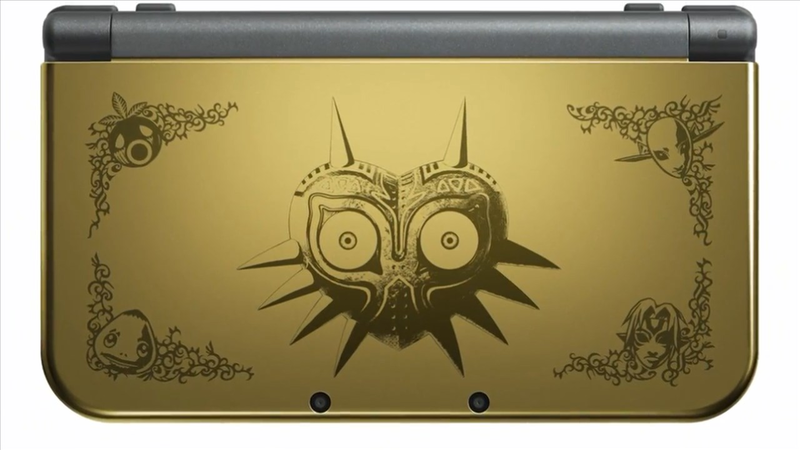 I really want the Majora's Mask Edition "New" 3DS XL. But do I really need it? A part of me says, "YES!" That's the part of me that smiles every time I pull out my A Link Between Worlds 3DS XL to play my games. It makes every game feel like a special moment, because I have this amazing looking system to play it on. When I'm around a group of people holding their standard 3DS's, I'm usually the only one that has this edition and I bask amidst their "ooh's" and "aah's." Another part of me says, "NO!" That's the part of me that made a promise not to go over my budget of $520 to spend on games this year. A promise that I've broken for the past five years. It's also the part of me that knows this "New" 3DS XL model is a re-design, but what about the eventual re-design of the re-design? The only reason why I have my Link Between Worlds 3DS XL, is because I didn't buy the 3DS when it first came out. I waited, and my patience was rewarded with a sweet Zelda themed portable. This is the struggle I have on a daily basis with my relationship to video games, magnified. I'm trying to better my gaming habits: reduce my spending on impulse purchases and spend more time playing the large library of games I own. But video games never stop being awesome, and there is always a new game or limited edition bundle that I want, because this is my passion and I don't want to miss out on anything. Yet I know it's impossible to own and play every single gaming thing that is released.